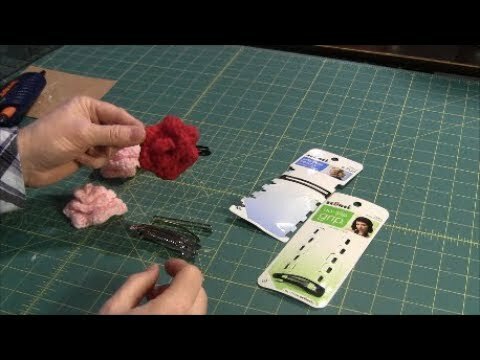 This video shows how to make a hair barrette with a crocheted rose. This barrette would be a wonderful hair decoration for Valentine's Day. 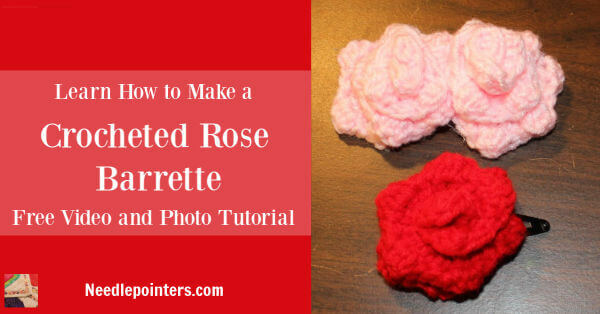 The crocheted rose pattern is a free pattern from Petals to Picots. The crochet pattern is an easy pattern and could be done by a beginner crocheter. 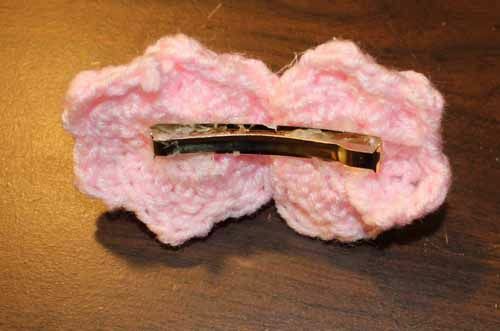 Watch this video and read on to see how to attach the crocheted rose to a barrette. Click to watch the Rose Hair Barrette video in Youtube. 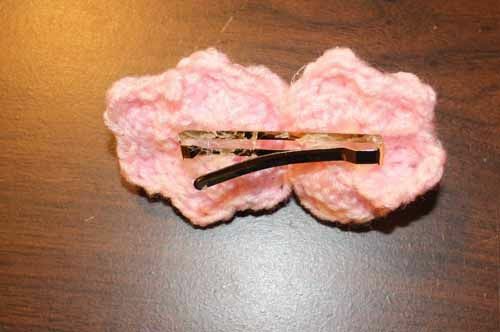 The first step for making this barrette is to crochet the rose. 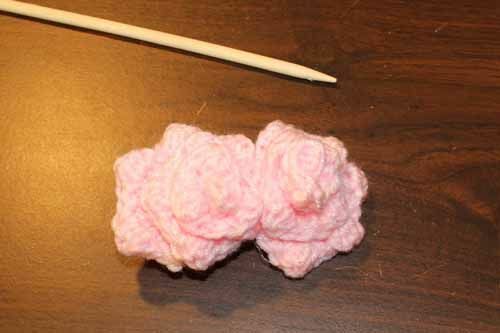 Find the link below to the crocheted rose pattern on the Petals to Picots site. Follow the instructions to make the rose. Once you have the rose(s), you can attach it to the barrette following the instructions below. 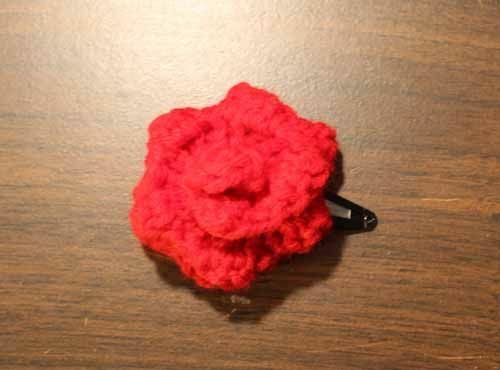 One way to attach the rose to the barrette would be to use thread or yarn. 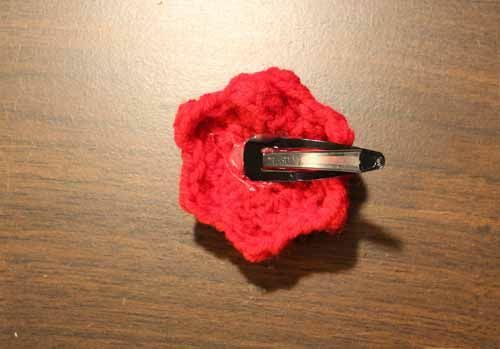 Thread a needle, stitch through the crocheted rose and then loop the thread around the barrette. Loop around the barrette several times to secure it in place. For a snap barrette to attach the rose with a glue gun, put glue on the end of the barrette and a little glue on the rose. Press together and allow to dry completely. 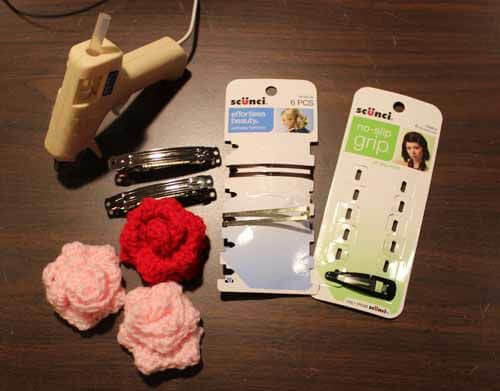 If using a larger barrette, just put glue on the front on the barrette and attach roses. 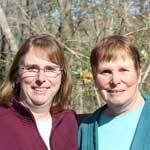 Get the free pattern from Pedals to Picots and supplies for this project from the affiliate links below.